✅ HANDMADE REAL WOOD SUNGLASSES THAT FIT! 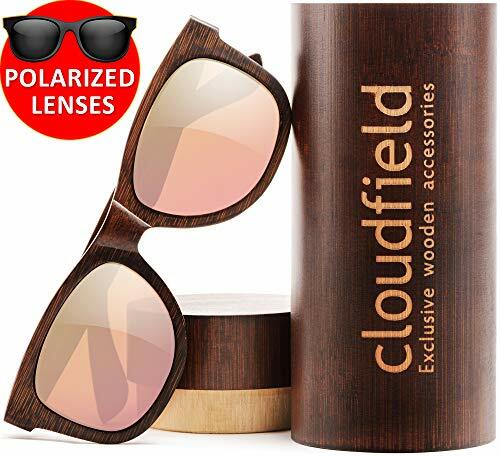 - Handcrafted from bamboo with a Wayfarer style that looks good on everyone, Cloudfield sunglasses will help you to stand out from the crowd! ✅ 100% MONEY BACK GUARANTEE - The SIZE of new wayfarer style sunglasses: Front frame 138mm, Arms 140mm, Height 45mm, Lens width 51mm, Lens height 41mm. *+/- 3mm.